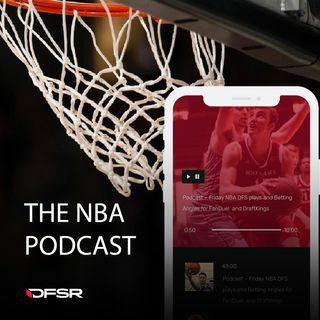 DFSR’s Doug Norrie and James Davis take to the podcast discussing a Thursday slate of NBA action for FanDuel and DraftKings. The guys return from the All-Star Break ready to talk hoops and they start off with the news that Joel Embiid will miss the next week with a knee injury. That makes the Sixers’ remaining players all cash game viable and possibly chalk players across the board. Ben Simmons and Jimmy Butler especially are good plays. We’ll see about Boban Marjanovic and whether or not he ... Maggiori informazioni joins the starting lineup.